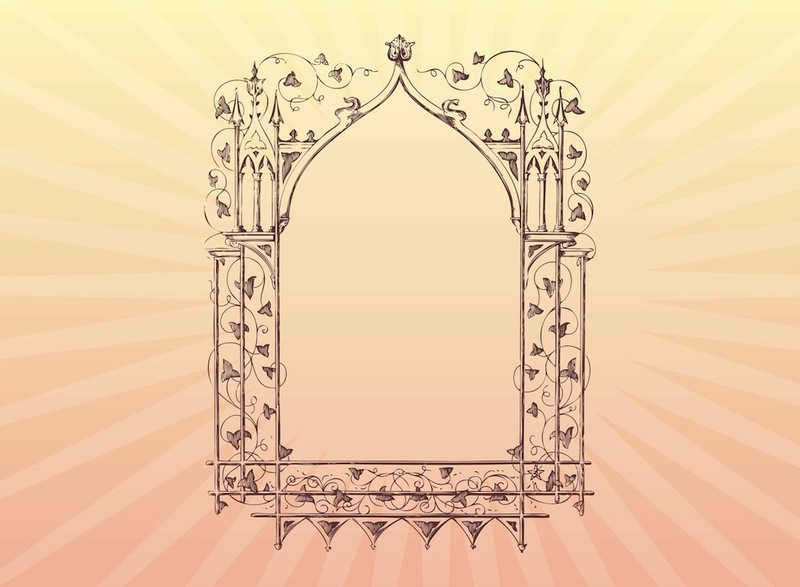 Vintage vector graphics of hand drawn frame. Metal structure with swirling plants with triangular leaves. Hand drawn vintage sketch to create photo frames, borders and decorations. Free vector for antique, retro, vintage, old, architecture, exterior design and gardens images. Tags: Architecture, Hand Drawn, Leaves, Old, Plants, Stems, Swirls, Vintage.